Werder Bremen captain Clemens Fritz will retire at the end of the current campaign. The 36-year-old midfielder, who suffered a season-ending ankle ligament tear in March, has been on the Bremen books for almost 11 years. "Since getting injured, I've given my future a lot of thought and listened to what my body has had to say," Fritz told the official Werder website on Monday. "Unfortunately I've experienced significant problems with my ankle that I haven't encountered before. Despite all the will in the world on my part, the injury means I am unable to resume my career as a sportsman with 100 per cent fitness. The fact the club have turned a corner on the pitch in the meantime allowed me to make the decision with a clear conscience. It was always a real honour to wear the Werder shirt." The midfielder had initially planned to hang up his boots at the end of last season, only to perform a U-turn on his decision in light of the club's below-par performance in 2015/16. Fritz joined Bremen from Bayer Leverkusen in summer 2006, and was handed the captain's armband in 2011. He made 368 appearances for the Green-Whites in all competitions, including 288 in the Bundesliga. The Erfurt native lifted the DFB Cup and reached the final of the now defunct UEFA Cup in 2009. 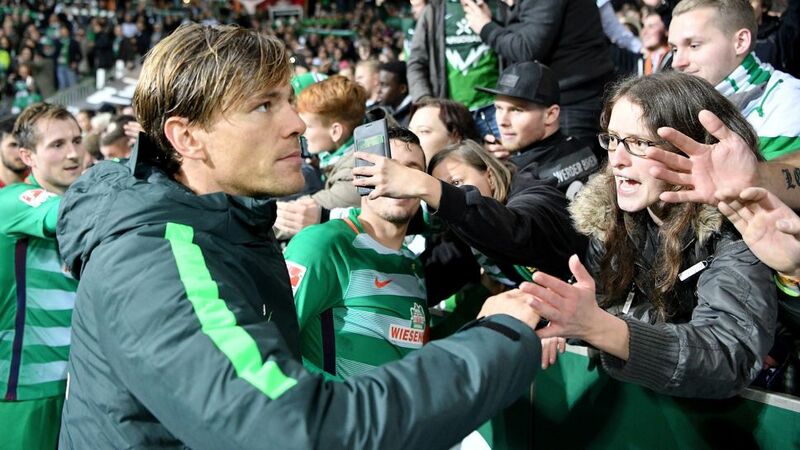 "In recent years, Clemans Fritz was the heart and soul of the team and a positive role model for SV Werder, so obviously we're disappointed about his decision," admitted Bremen general manager Frank Baumann. "He'll get another contract, though, and we'll continue to work with Clemens, making use of his experience, commitment and knowledge. When exactly and in what role, we'll decide on in the coming months." Don't forget to vote for your Bundesliga Team of the Season below! Click here for more Bremen news!